I got sooo excited about how wonderful my raw almond milk came out, that I decided to make a creamy berry banana smoothie with it! 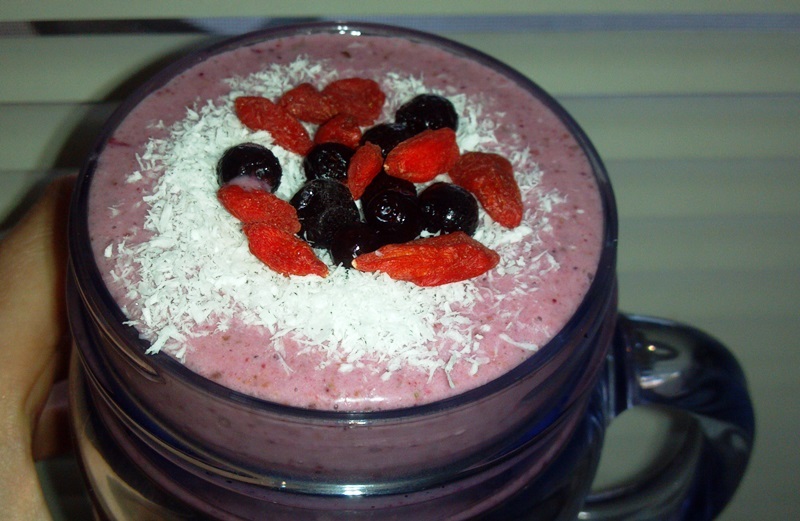 Blend everything in your high powered blender until creamy. 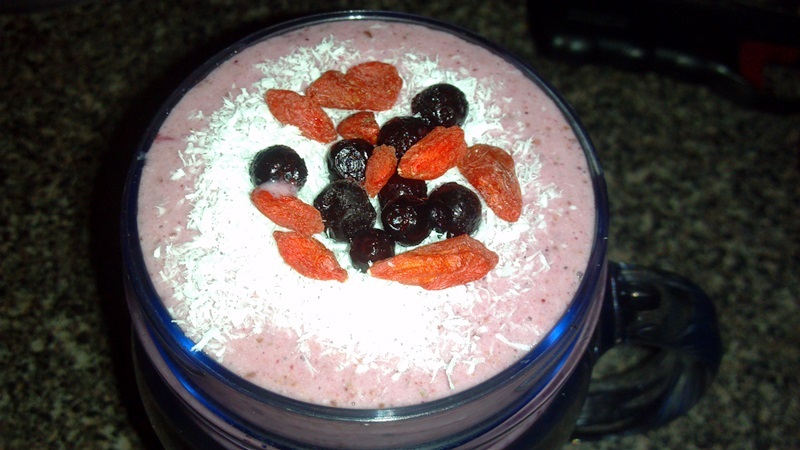 Top with coconut, blueberries, goji berries, or any berry, and drink up! Super good!